Hidden inside what looks like a normal city block, a labyrinth of alleyways holds a secret history that predates the Civil War. WASHINGTON — Hidden inside what looks like a normal city block, a labyrinth of alleyways holds a secret history. Don’t be fooled by the shiny new apartments and fancy cocktail lounges. Blagden Alley, in D.C.’s Mount Vernon neighborhood, dates back to before the Civil War. Mark Herlong is a tour guide for WalkingTown DC and an expert on D.C.’s rougher, raunchier history. The things he knows aren’t found in most history books. He took me on an abbreviated tour of Blagden Alley, Naylor Court and the streets around the alleys. In terms of the area’s dirty secrets, Herlong is an open book. He read me an excerpt of a Washington Post article from the 1890s that warns against partaking in the types of activities going on in alleys like Blagden and Naylor Court. What an introduction. As Herlong explained at the beginning of the tour, the neighborhood has changed a lot in the past five years. “It kind of skipped from being pretty scuzzy and bohemian to being very expensive without a phase in between,” he said. At the beginning, Herlong said the alleys were mostly uninhabited. In the 1840s, they started to populate. 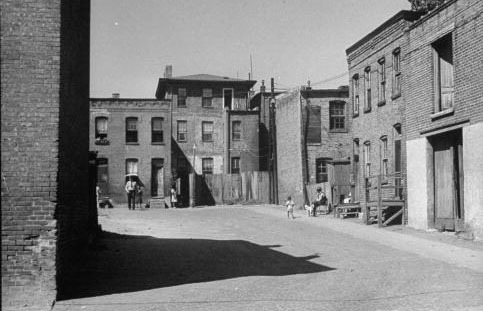 The alleys became home to the city’s domestic servants and laborers, mostly African American. By 1880, there were 42 households in Blagden Alley and 22 in Naylor Court. By the 1890s, he says, 11 percent of the city’s population lived in alley dwellings. While dwellings may seem like kind of a harsh term for someone’s home, these houses were often smaller than 700 square feet, built of wood or brick, and built without heating, running water and sewage drains. What’s more, people were still living in some original structures up until the 1950s. 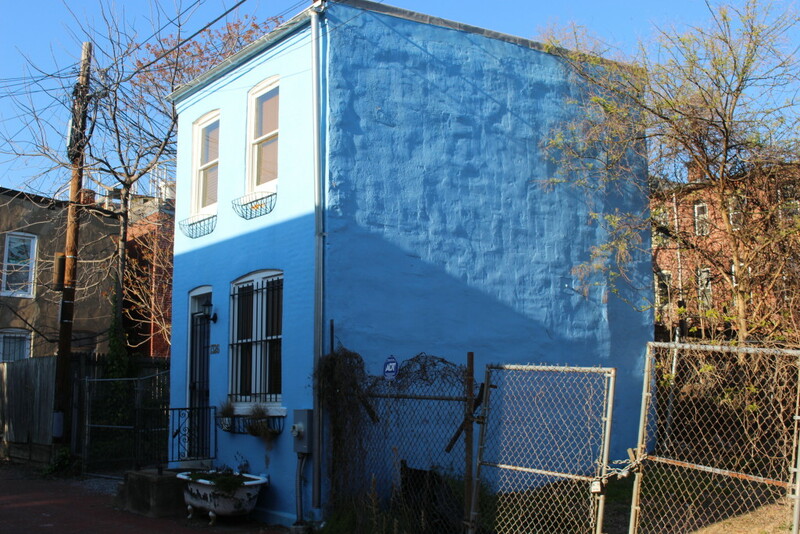 Most of the alleys were razed and rebuilt, but a few were protected by the historic preservation movement, including Naylor Court and Blagden Alley. The remaining dwellings were refurbished and updated with things like plumbing, heat and other essentials as people began to move back into the alley in the early 2000s. 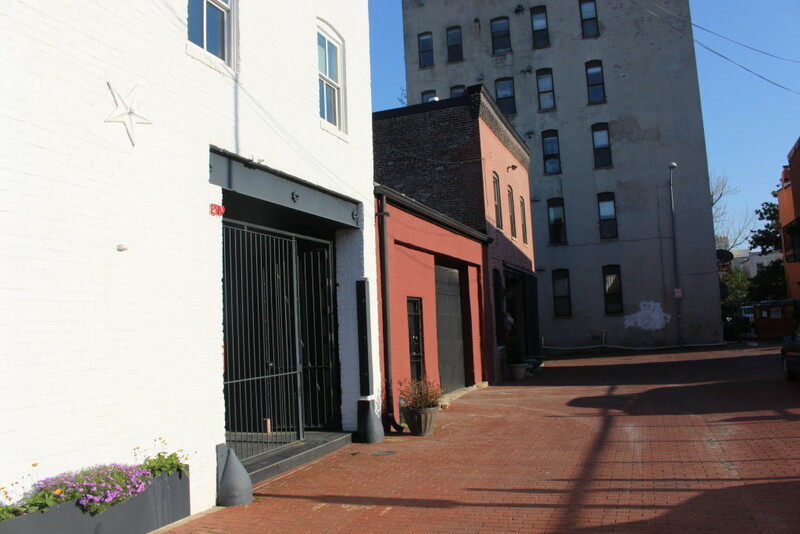 Blagden Alley is now home to several coffee shops, bars, restaurants and businesses, as well as apartments and houses. Fun fact about Herlong: He’s been hanging out in the alley since way before La Colombe got there. He frequented Fight Club, an “underground skateboarding/rock-and-roll/art mecca” in an abandoned warehouse in Blagden Alley. Fight Club isn’t there anymore, but it’s part of the long history of the alley. Take a look around the next time you’re strolling through. They might not be as awe-inspiring as the monuments, but the Blagden Alley dwellings are a hidden piece of D.C. history worth checking out. To request a WalkingTown D.C. tour, check out their website.